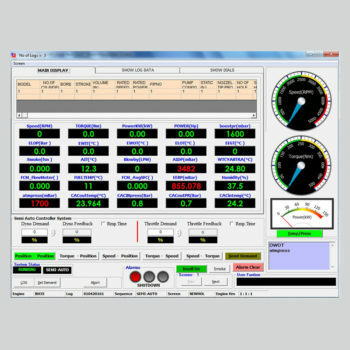 Our Digital Computer Aided Engine Test System –DCATS is an integrated System to perform Data Acquisition, Control & Analysis of an engine under test. It is designed to work with SAJ make Dynamometers, Hydraulic and Eddy Current, Instrumentation & Control Systems. 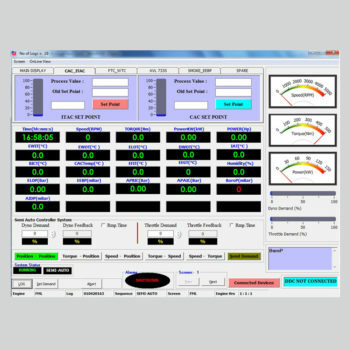 It combines a complete controller with Sophisticated Data acquisition system and is ideally suited for R&D, QA, Production and post overhaul testing. 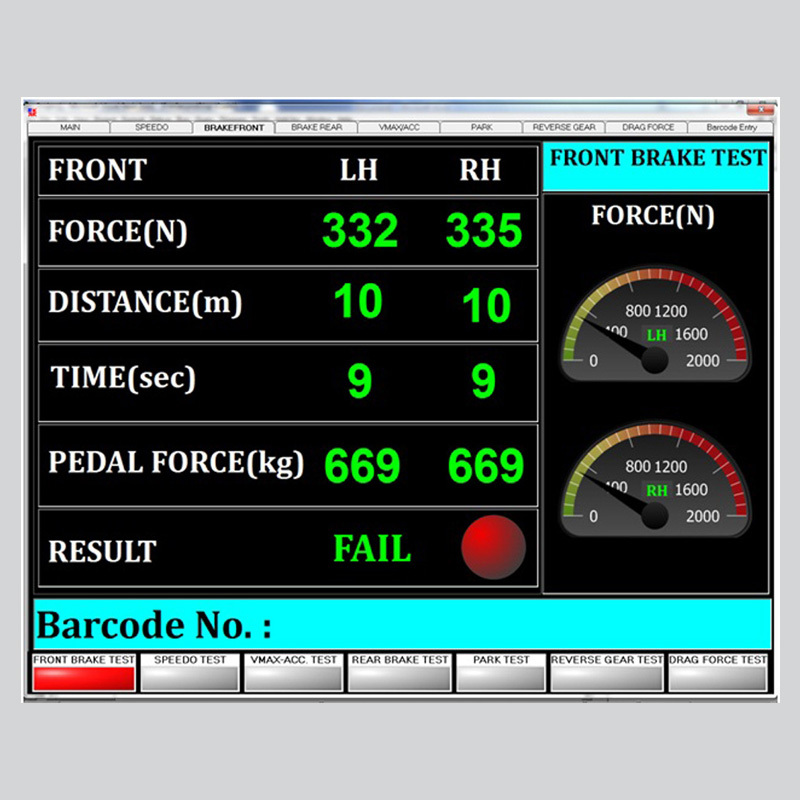 This system provides a digital Engine Throttle and Dynamometer Control which can be run Manually as well as Auto in a Test Sequence. 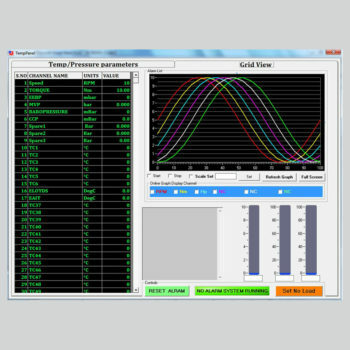 Online Tuneable PID’s are provided for each mode of control and Bump-less mode transfer is fully achieved. 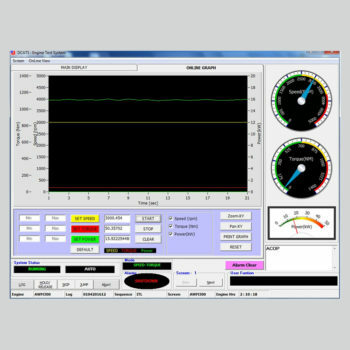 The Software has been designed and developed to Provide a simple yet powerful and flexible system for use in an Engine Test Environment, it can be used in new state-of-the-art installations or to provide modern high performance control and data acquisition system for upgradation of existing test cells. 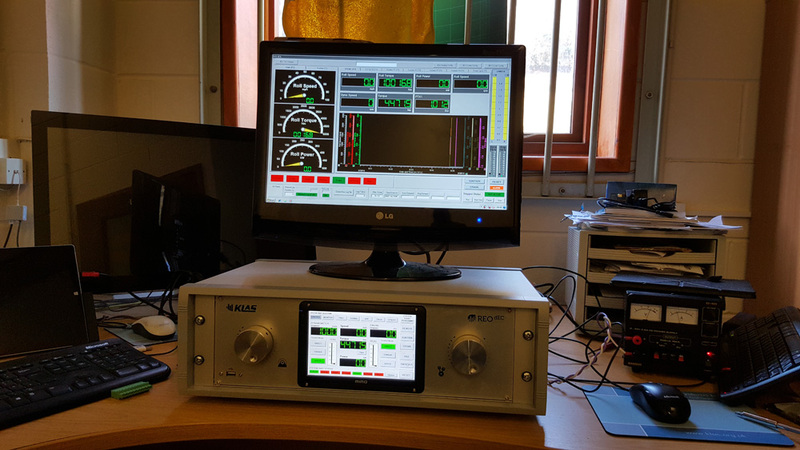 PC based Integrated Engine Test Data Acquisition Control System. 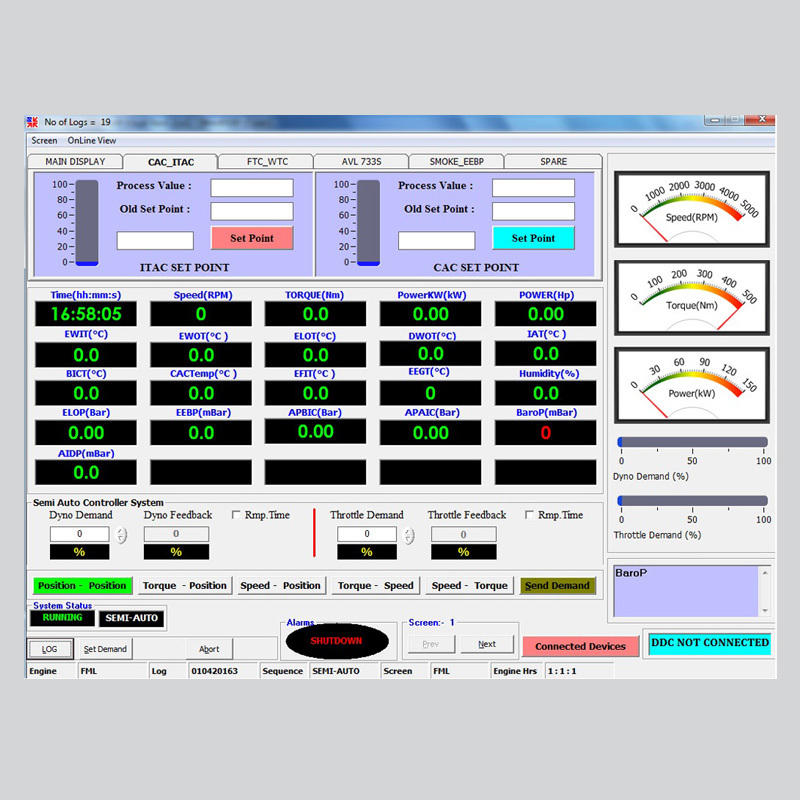 16 Analog Input Configurable scan channels (can extended up to 125). Windows based 32 bit resolution. Precompiled hard coded software channels. 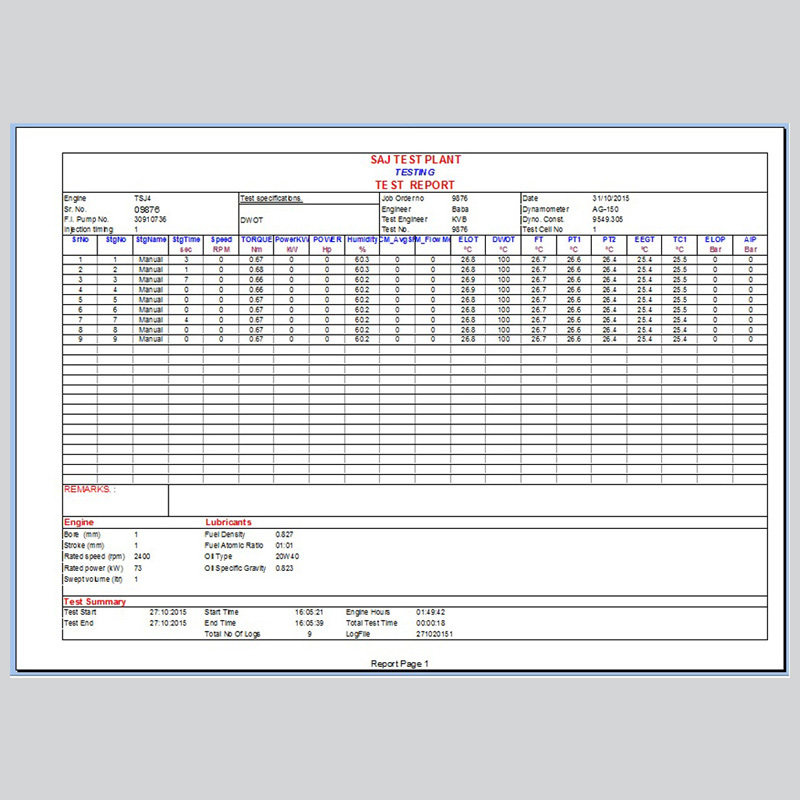 4 levels of Alarm monitoring. 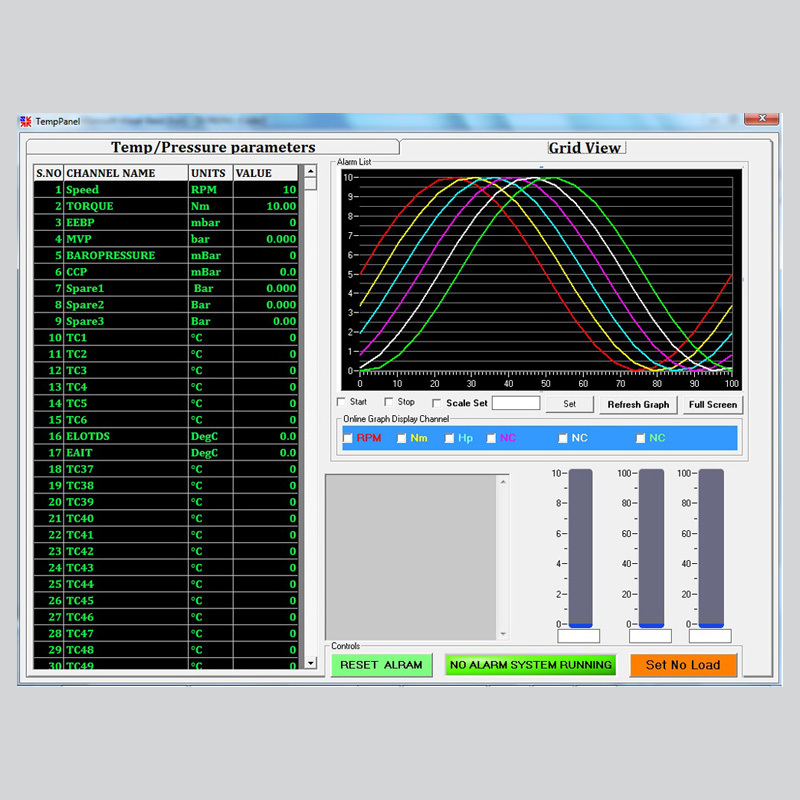 Close loop control on Throttle & Dyno demands. Internet enabled for Remote monitoring and Control. 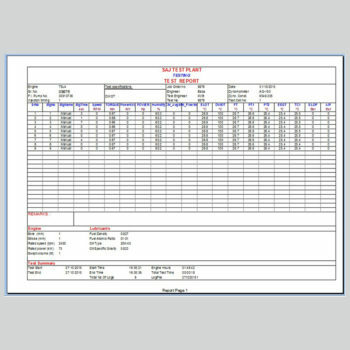 Data Transfer- This allows off-line access for Test reports/calibration reports to individual user or Server. Online graphs, Analog dials and online logged data view. 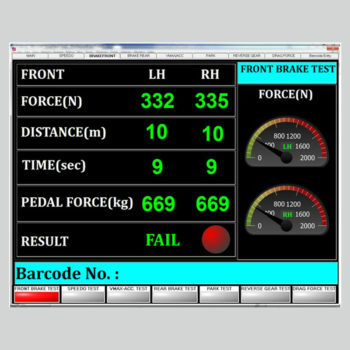 User friendly & highly interactive software. Fully programmable test cycle definition.